Welcome to the GroutGleam Revolution. Don't be fooled by the name, GroutGleam take care of more than just grout problems. We currently offer four core services and will shortly be rolling out further groundbreaking, undiscovered services that take care of many previously unsolvable problems around the home and your premises. 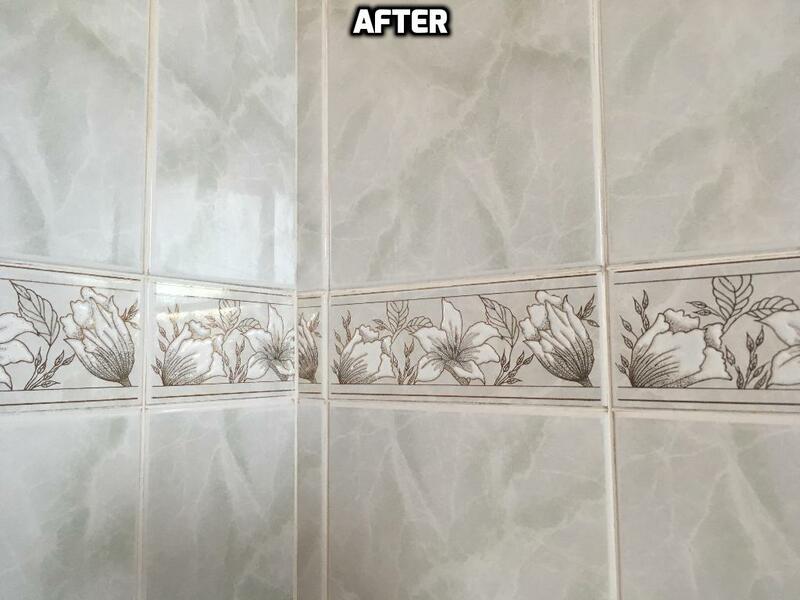 A rapidly growing network of exclusive GroutGleam Approved Technicians offer these fast, effective, hassle free and affordable solutions. 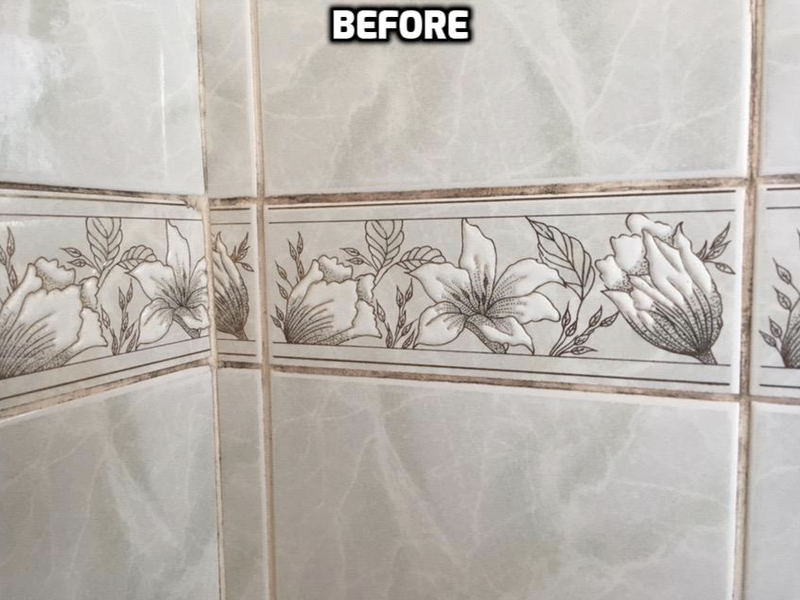 Using our unique set of tools we can rejuvenate your grout, restoring it to almost new condition in almost no time at all.Hassle free, no mess, no drama and affordable.The service is then finished off with a specially formulated water repellent grout sealant that acts as an invisible shield preventing water from being absorbed by the grout. Everyone knows that grout is porous and will absorb water, oils and fatty deposits, over time leading to discolouration and potentially mould and mildew deposits. Not everyone realises that many tiles are porous as well, and, albeit at a slower rate, will experience the same issues as grout. Shower glass whilst technically not porous is not as flat and smooth as it feels. Under microscope there will be 'peaks and valleys' in the surface on a nano level. When showering you will see the water clinging to the glass in places, this is where there are 'valleys.' Over time this is likely to lead to limescale and hard water staining which can be exceptionally hard to remove. GroutGleam have an all-in-one industrial strength hydrophobic and oleophobic coating that uniquely works on glass, tile and grout. The nano scale coating forms an invisible barrier on the surface of all 3 substrates repelling water, oil and fatty deposits. The results are visible, you will notice the water no looking clings to the surface, after showering all that remains are a few beads of water which can be simply wiped away with a microfibre cloth, making future cleaning super simple and quick. Many areas of Ireland suffer from hard water. Over time this frequently leads to staining of surfaces, most noticeably on shower glass. These limescale deposits and hard water stains can eventually work their way into the glass making cleaning seemingly impossible. Our Approved Technicians, using a specially formulated compound that has been optimised for precisely this issue, can restore your shower glass to almost new condition. Your granite worktop is probably your pride and joy in your kitchen. How would you feel about a chip in the surface? The hassle, mess and COST to replace a run of stone is immense. Or how about that wonderful, feature wooden flooring - a scratch, a gouge. What do you do? We can offer the next best solution to a replacement. We have 6 coloured compounds that can be applied and mixed together to create several colours, tints and effects to restore the chip, the scratch or the gouge. Cured by ultraviolet light the result is fast, effective yet exceptionally affordable.